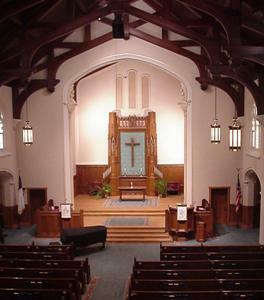 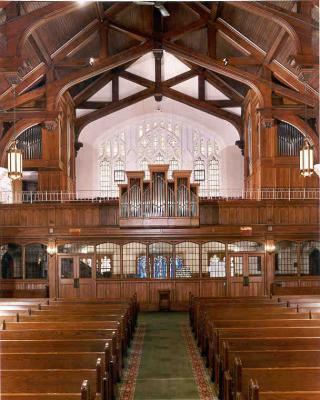 The Nave of Highland Park Presbyterian Church, completed in 1912. 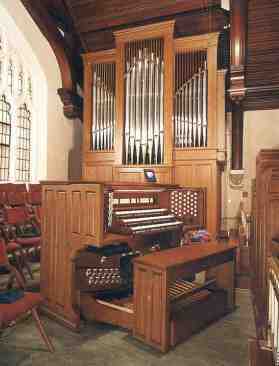 The original pipe organ was replaced by a Saville electronic organ. 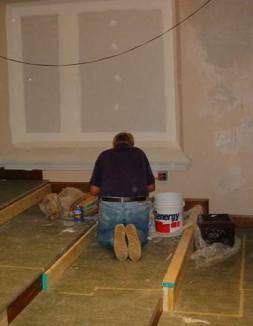 While waiting for the container to arrive, our "in house" Plasterer, (Larry Smith) helps prepare the chamber walls for painting. 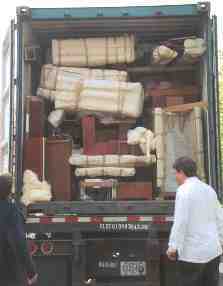 The container arrives at the church.It is packed from floor to ceiling and from front to back. 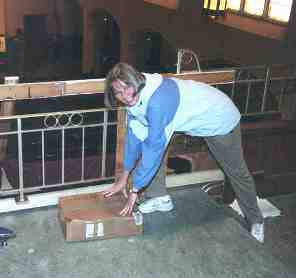 Barbara (a member of HPPC) carries the first box from the truck to the church balcony. 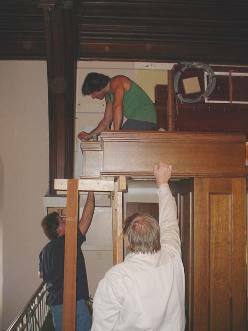 The chapel becomes a staging area for all the parts of the new organ. 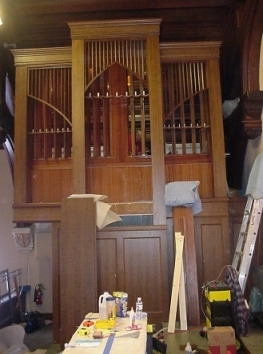 The mahogany swell enclosure is completed behind the oak case of the organ. 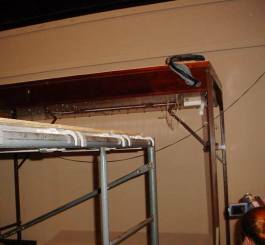 The swell box looks like a vintage Chris Craft boat. 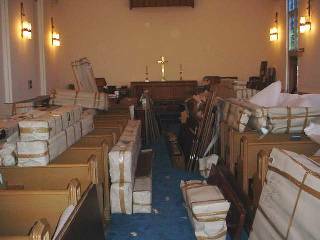 Just look at the thickness of the swell shades. 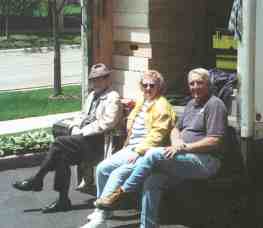 They are even felted to quiet the division down to a whisper. 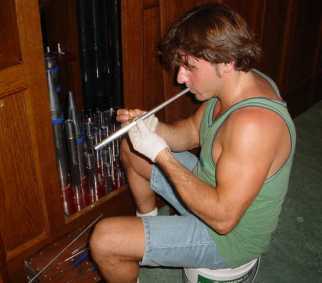 The Great pipe chest is put in place on its steel supports. 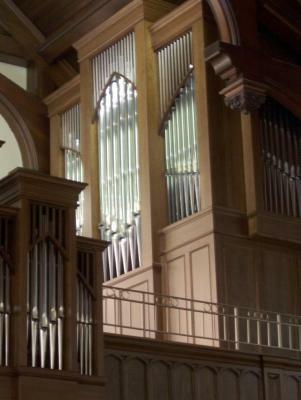 All Ruffatti wind chests are made from Sipo Mahogany which is seasoned for 5 years before being used to insure stability. 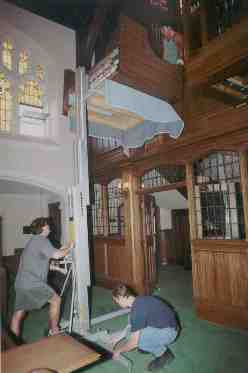 The Ruck-Positiv case is installed in a traditional manner behind the console location cantilevered from the balcony. 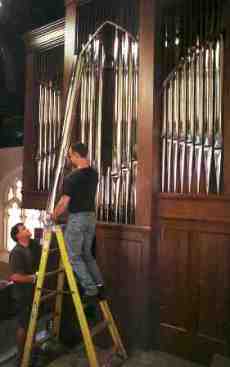 The 95% tin pipes of the Pedal 8 Principal are installed in front of the swell enclosure. 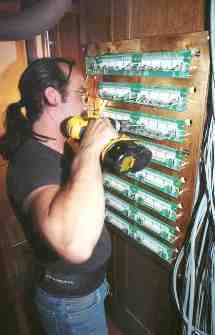 Rick fastens down all the wiring to the solid-state, fused driver boards which meet UL standards. 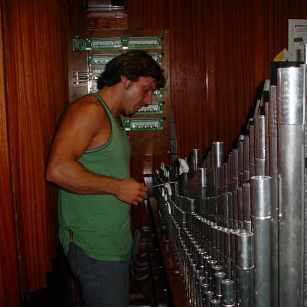 Marcio Rigatto, from Brazil, voices each pipe for a perfect blend of sound in the Nave. 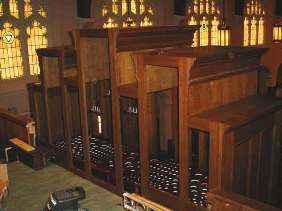 A finished view of the console in front of The Great Division Facade (north chamber).